At 9:45 PM ET on February 15, in a spacious, well lit studio within BuzzFeed’s New York office, the prominent media company is preparing to begin a new episode of its hour-long morning show AM To DM, which is streamed live each day on Twitter. 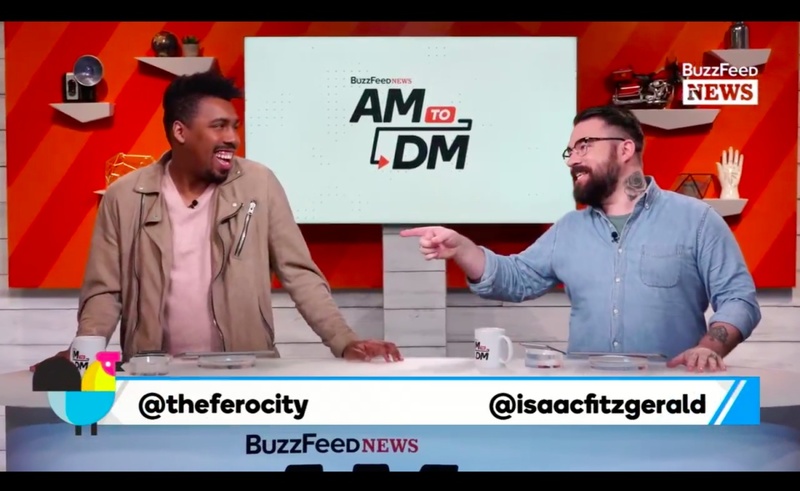 Soon, hosts Saeed Jones and Isaac Fitzgerald will address an audience that, according to BuzzFeed, contributes upwards of one million total views per episode. This will be a special episode of AM To DM, and not in a good way. It is the first episode since the previous day’s school shooting in Parkland, Florida, and such tragic news will require Jones and Fitzgerald, who normally open their show in an upbeat manner, to adopt a more somber tone. As they prepare to broadcast, the hosts are picking over word choices and are carefully rehearsing monologues. The show goes live, and the hosts meet the previous day’s sadness gracefully. Jones, careful not to name or glorify the shooter, fills in some basic details of the story. He and Fitzgerald remind their viewers to take care of their own mental health and to look after themselves. They bring in BuzzFeed reporter Jane Lytvynenko, who warns consumers to keep an eye out for misinformation. Then, after a couple of minutes of discussion, Jones and Fitzgerald carefully switch gears. In hopes of bringing some joy to their viewers, they discuss the impending arrival of Black Panther, share some funny tweets, and interview Olympic gold medalist Red Gerard, whose fashion choice grabs Jones’ attention. “Part of how you deal with what’s going on is you also make space to catch your breath,” Jones told Tubefilter. Ironically, this atypical AM To DM opening reveals the show’s greatest strength. Led by the passion of its hosts, the program is able to move as Twitter does — focused on tragedy at one moment and on comedy the next, shifting constantly between contrasting tones. Since launching on September 25, AM To DM has emerged as a hit on a social media platform that is not exactly known for its hour-long morning shows. There are only a couple similar programs on Twitter — Bloomberg has one — and even fewer that can match AM To DM’s audience. BuzzFeed informed Tubefilter that AM To DM averages one million views on its daily live streamers. 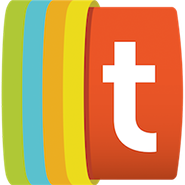 A week after the show launched, TechCrunch reported that the show had received 10 million total views up to that point. More recently, AM To DM reached 1.4 million average views during a week in January, a stat that includes both live and replay hits. The liveliness of its audience has attracted advertisers. In addition to presenting sponsor Wendy’s, T-Mobile, Toyota and Bank of America have partnered with BuzzFeed on AM To DM-related business. With the show’s baseline established, the AM To DM crew has room to try new things. In keeping with the show’s close relationship with the Twitter audience, Jones and Fitzgerald often share tweets from viewers. Sometime, they string multiple comments together to create an interstitial block between interviews. As they do, they riff on the tweets in real time and foster a loose atmosphere in their studio. It is this experimental, segmented approach that will continue to give AM To DM its shape. Jones specifically cited “Surprise a Stan,” a fan interaction segment that has already featured celebrities like Simone Biles and Toni Braxton, as a format he wants to continue to develop. Ultimately, though, AM To DM will go as far as its hosts can take it — and both Jones and Fitzgerald are Twitter fanatics who tirelessly consume news through the social media platform. They are, in a sense, the perfect people to host the show they ended up on.